Founder Paul is a conservation biologist and bartender with a long family connection to botany and the environment. 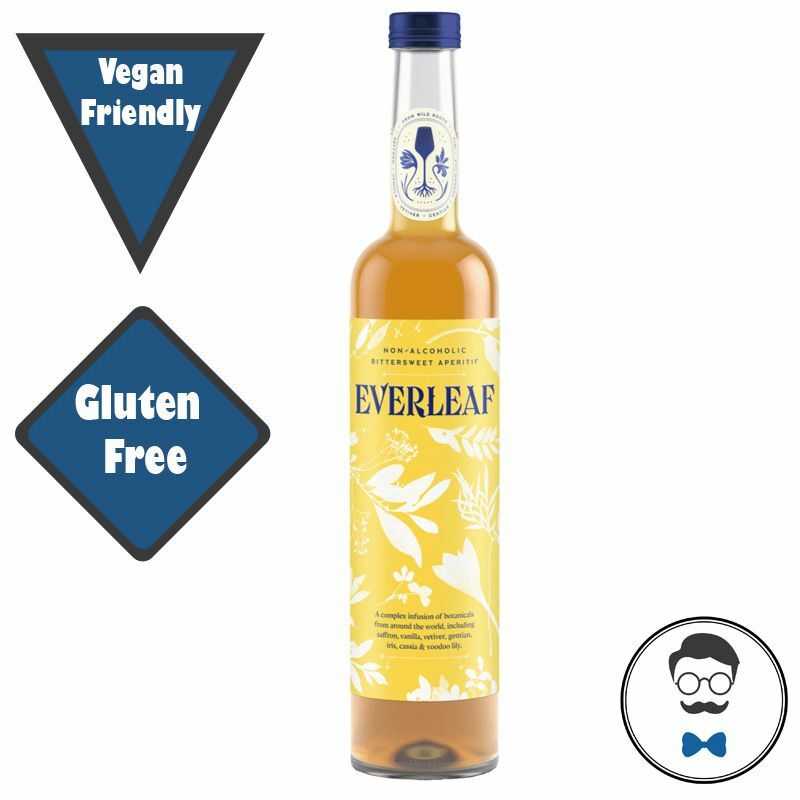 Everleaf is complex infusion of botanical extracts and distillates inspired by Paul’s travels around the world and all the drinks he’s made as a bartender. They include vanilla and saffron for richness, gentian and iris for wild bitterness and earthy warmth, as well as vetiver and orange blossom for freshness and vibrancy. Everleaf is a unique, bright aperitif that’s full of natural complexity, perfect for a spritz.We recommend you serve it though over ice with 1 part Everleaf and 2 parts Soda...perfection. A 500ml glass bottle of Everleaf contains ten serves. Alcohol free spirits are made through the distillation of botanicals, up to 35! These are then mixed to create the flavour, many of which now go past just imitating a gin, vodka or vermouth taste but instead create a whole new flavour! Across Europe drinks below 0.5% ABV are classed as ‘alcohol free’. In the UK drinks that are between 0.05% and 0.5% ABV are classed as non-alcoholic. Yes this sugar has zero sugar! Products with a higher sugar content cause a spike in insulin and we react by storing more carbs as fat. You may also notice that although lower in sugar there is some carbs, this is usually more complex forms of sugar such as starches and fibre and the body uses these for energy.